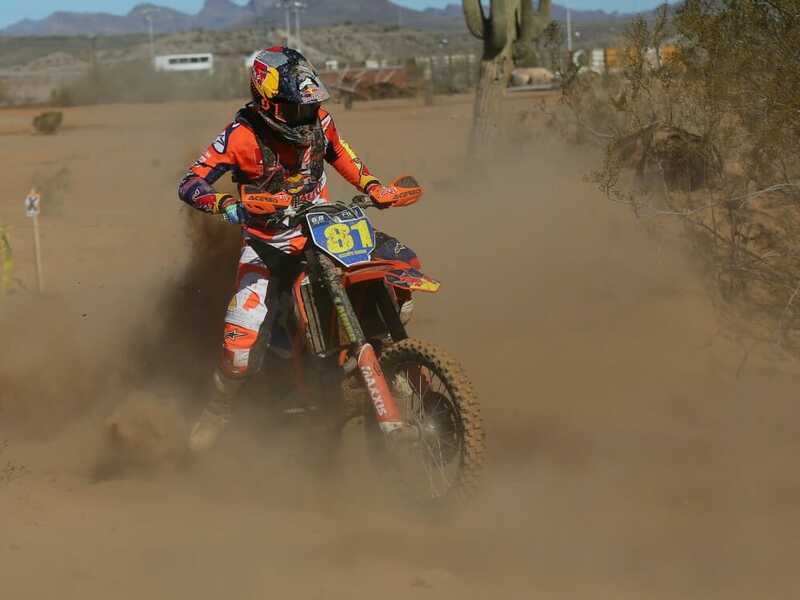 2018 Peoria, Arizona, WORCS Results – Italy’s Giacomo Redondi, a newcomer to the WORCS Championship, claimed the overall win in round two of the Rocky Mountain ATV MC WORCS Series, presented by Toyota and Dirt Bike, in Peoria, Arizona, February 25. Canyon MX hosted the race. Dante Oliveira was the early leader, but the race ended up being a two-man battle for the win between Redondi (Red Bull KTM) and defending champ Gary Sutherlin (Suzuki), who worked his way up to the front after getting off to a bad start. Sutherlin led the race for a bit but ended up getting nipped by Redondi at the end. Oliveira, a rookie to the Pro 1 class, led off the start but lost the lead when he washed out and fell. He still ran near the front, finishing out the race in third. Eric Yorba (KTM) was fourth overall, followed by Zach Bell (Husqvarna). Trystan Hart (Husqvarna) won the Pro 2 class, while Spenser Wilton (KTM) claimed the Pro 2 Lites-class victory. Opening-round winner Taylor Robert (FMF KTM) did not suit up for the race. Robert suffered an arm injury during the week and was unable to ride. Click here for more off-road racing news and results.